One person was killed and another was injured early Monday in a mobile home fire in Odessa. According to officials, Hillsborough County Fire Rescue responded just after 6 a.m. to a fire in the Silver Dollar Golf/Trap and RV Resort. The firefighters found flames shooting through the roof of the double wide mobile home when they arrived and were also notified of a possible person still inside the home. Crews immediately started search and rescue operations inside the home and firefighters located that person in the home. The person was found dead. The 1-alarm fire destroyed the mobile home and caused damage to the outside of the neighboring homes. During the fire, paramedics at the scene were notified of a person at a home across the street that needed medical attention. That person was taken to an hospital and their condition is improving, according to officials. Officials have not released information on the people impacted or how the fire started. An investigation will take place into what started the fire. Approximately 11 million people live in mobile homes across the United States. On average 22,000 fires occur in mobile homes each year, killing 500 people and injuring another 1,000. Sadly, we see more fire deaths in mobile homes each year. In fact, fire death rates for mobile homes are twice those in other types of houses. The main culprit of mobile home fires is electrical and heating equipment. A St. Petersburg tree trimmer is lucky to be alive after he was shocked by 7,200 volts of electricity. In June, the man was working at a home on 25th Avenue North when his pole hit a power line. The man was knocked unconscious and when he woke up he was still being shocked. He could not move his arms or legs so he used his mouth to get down to safety. Firefighters airlifted the man to Tampa General Hospital. The man spent a month in the hospital. He has had multiple surgeries and the shock has left him almost blind in one eye and unable to feel some of his fingers and his left leg. Doctors say it’s a miracle he survived. The man said he has emptied his savings to pay his medical bills and has more surgeries ahead of him. He is his family’s sole provider and will not be able to work again for at least another nine months. A gofundme account has been set up to help with expenses. Electrical injuries are particularly frightening because they are unexpected. These accidents happen when there is contact between any part of the human body with a high enough level of electrical current to penetrate through skin and hair. This can be caused by faulty wiring anywhere, such as your house, construction and industrial work sites, landscaping, public buildings and tree trimming sites. Electrical injuries, as this case highlights, can cause burns, central nervous system damage, brain damage, and even death. For most, Labor Day weekend symbolizes the unofficial end of summer. As a three-day weekend, this gives many Americans the chance to celebrate with friends and family one more time before fall comes around and the weather gets cooler. Whether you plan on taking one last road trip for a weekend getaway or staying home and celebrating with family and friends, the Tampa Bay Injury Lawyers at Whittel & Melton want you and your loved ones to stay safe! Roadway Safety – AAA anticipates that nearly 35 million Americans will travel this Labor Day weekend. With this many people on the road, it is very important to remember roadway safety, obey traffic laws and to always stay alert and avoid distractions when behind the wheel. Vehicle Safety – Along with obeying the rules of the road, it is equally important to make sure your vehicle is safe for travel. Check your vehicle’s fluids, brakes and lights before going on a trip. It is recommended to take your vehicle in for a quick inspection before you head out of town. If you have an older vehicle, you may want to consider renting a car with up-to-date safety features for your road trip. Water & Pool Safety – Because Labor Day weekend is the unofficial end of summer, pool parties and water activities are common. Make sure that all children are always supervised around and in the water. BBQ Safety Tips – Labor Day weekend and barbecues go hand in hand. If you are planning on an outdoor grilling party, make sure that your grille is properly cleaned to avoid grease fires. Also, make sure to grill in a safe area away from structures, furniture and other flammable hazards. Keep a fire extinguisher nearby and have a safety plan ready in place your barbecue goes awry. Drink Responsibly – Holiday weekends, like Labor Day, see some of the highest rates of alcohol-related accidents and injuries than any other time of year, especially on roads and highways. If you plan on drinking, please do so responsibly and plan a safe ride home. Remember, police will be on high alert for motorists driving under the influence, so do not drink and drive. According to the National Highway Safety Administration, Japanese auto parts maker Takata Corp. refuses to cooperate with the government’s investigation of its air bags. The NHTSA announced on Friday that it will impose fines of $14,000 a day that will continue until key safety information is provided. What The Problem Is. 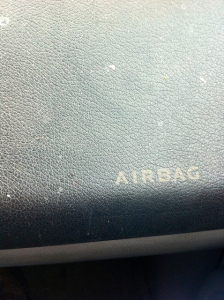 The inflators propelled by ammonium nitrate can explode with too much force, which can result in shrapnel ejecting onto drivers and passengers. At least six people have been killed and 64 injured worldwide due to the problem. Since 2008, 17 million vehicles have been recalled in the U.S. by 10 different automakers. Currently, only 2 million, or around 12 percent, have been fixed because of a lack of parts. Recall Areas. Government investigators believe that too much exposure to moisture in the air can cause the inflator to build up excess pressure, which can shatter metal canisters meant to contain the explosion that inflates the bags. Driver’s side air bags have been recalled nationwide, however recalls of passenger side air bags have been limited to Florida, Puerto Rico, areas near the Gulf of Mexico including Texas, Alabama, Mississippi, Georgia, and Louisiana, as well as Guam, Saipan, American Samoa, U.S. Virgin Islands and Hawaii. Takata’s Stance. Takata has challenged the National Highway Traffic Safety Administration’s demand for a national recall of driver’s airbags. Despite that, automakers did it on their own. Takata claims that tests of 10,000 inflators does not show any reason for the recalls to be expanded. What is Currently Being Done by the Government. The government has three different groups testing the air bags: Takata, an independent contractor hired by the company and a group of 10 automakers. In order to force Takata into a national recall, the government must be able to explain what is going wrong with the airbags and why. 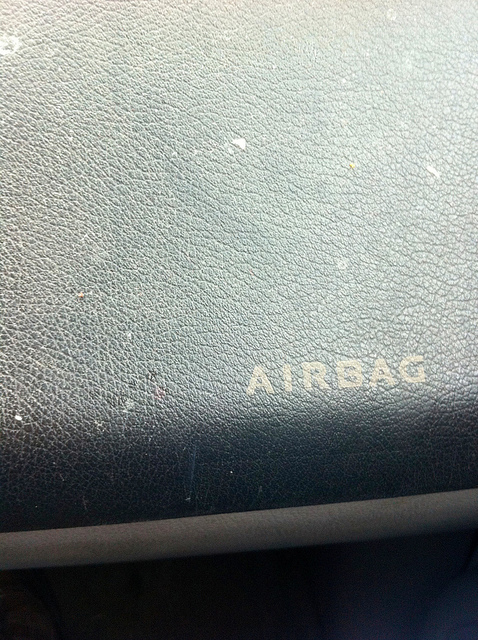 What You Can Do to Make Sure Your Air Bags Are Safe. While the air bags are still being tested, you can always check to see if your car has been recalled and get the repairs done as soon as possible. To check, go to https://vinrcl.safercar.gov/vin/ and type in your 17-digit vehicle identification number, which is located on your dashboard near the driver’s side windshield. The site will tell you if there’s a recall, and if your car is affected, you should call your dealer right away. According to the United States Consumer Product Safety Commission, 11,400 fireworks injuries were treated in hospital emergency rooms during the month surrounding July 4th last year. A good amount of these injuries were reportedly from people misusing fireworks. The most common injuries happened from lighting fireworks too close to someone, lighting fireworks incorrectly and playing with lit or used fireworks. Fireworks normally undergo arduous testing before they are sold to the American public, according to the National Council on Fireworks Safety. However, this does not mean that fireworks cannot be defective. Most fireworks-related injuries are not from defective products, though. Rather, most of these accidents are entirely preventable, and occur due to misusing these explosive devices. Adhere to all fireworks laws in your area and avoid behaving recklessly. 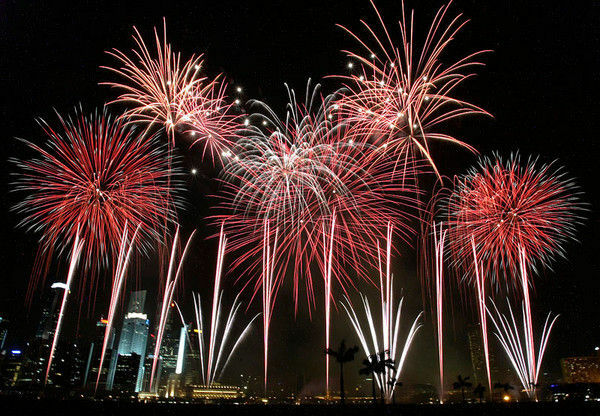 In Florida, consumer fireworks are illegal. Nonetheless, state lawmakers passed an exception to this rule allowing fireworks to be purchased by farms and fish hatcheries. In order for vendors to sell fireworks to the general public, all they have to do is have buyers sign forms saying they are actually purchasing under an agricultural exemption. Follow all instructions on the label and do not try and alter the firework in any way. If children are going to be around, always have adult supervision and never allow a small child to handle fireworks. Have a source of water handy in case something goes wrong. Alcohol and fireworks should not be combined. If you are going to be drinking, leave the fireworks displays to the professionals. 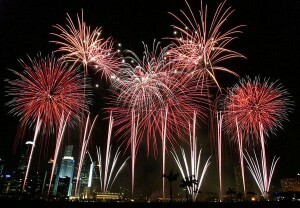 Ignite fireworks in a clear outdoor space. Check and make sure the area is not conducive to fires. Soak all used fireworks with water before throwing them away. The Consumer Product Safety Commission is urging everyone to “Deck the Halls” safely this holiday season. An estimated 15,000 people will be injured this holiday season based on the number of people sent to emergency rooms across the nation last November and December. The worst of the injuries reported involved slip and falls from holiday decorating, stepping on ornaments, back injuries, ladder catastrophes and lacerations. Hundreds of people fall off ladders every holiday season in their attempts to decorate. Ladders are supposed to be set up in a non-congested area with a 75 degree angle. Metal ladders should never be set up near electrical equipment. Sadly, ladder accidents often result in severe personal injuries or death. Last year, the CPSC reported that there were 20 injuries due to ladder accidents that resulted in a whopping $16 million in property damage. Fires are another big problem during the holiday season. Fire departments across the country reported about 200 Christmas trees that were ignited from 2009 through 2011. These fires resulted in 70 deaths, 680 injuries and about $308 million in property damage, according to the CPSC. The number of fire-related incidents has been on the rise since 2009, resulting in about 12,000 more ER visits annually. •	Discard any light sets with bare wires, broken sockets or that are damaged. •	Blow out candles when no one is in the room. •	Make sure your ladder is in good condition before using it. •	Keep your Christmas tree away from any heat sources. •	Watch out for children around the Christmas tree, as they could become injured from ornaments or sharp objects on or around the tree. •	Keep wrapping paper out of the fireplace as it can ignite suddenly and burn intensely. Any problems with consumer products that lead to accidents or injuries should always be reported to saferproducts.gov. This is how the government tracks injuries from defective products so that recalls can be issued when enough injuries are reported. St. Petersburg Fire & Rescue responded to a fire that broke out at a residential home Sunday morning. Officials claim they viewed heavy smoke and fire coming from the one story home around 5:16 a.m. The occupant, 41-years-old, was found exiting the side door. He was treated by paramedics for smoke inhalation and transported to Bayfront Hospital in stable condition. Reports indicate the fire started in the kitchen and made its way into the attic. According to fire investigators, the occupant started cooking and then fell asleep leaving two burners on. The occupant stated he woke up due to the smoke choking him. The fire eventually destroyed the entire home. Cooking fires are the leading cause of home fires in the United States, with grease fires being the main cause. Sadly, more than 480 people are killed annually and many more suffer severe burn injuries in accidents caused by cooking fires. Kitchen fires can flare up in a matter of seconds and destroy an entire home, ultimately causing around $900 million dollars in property damages every year. Accidental kitchen fires can be prevented. There are various measures homeowners and renters can follow in order to protect themselves and their homes against kitchen fires. •	Never leave food on a stove burner unattended. Dry cooking fires happen when moisture evaporates from the pan, leaving the food inside burned. Never walk away from the kitchen once you have started to cook. When you are done cooking, make sure all burners are turned off. •	Keep flammable objects, such as napkins, towels and potholders away from stovetops. •	Keep all your cooking equipment clean, so that grease does not build up. Grease fires are the most common cause of kitchen fires, so always be extra cautious of this. •	Keep a fire extinguisher handy in case any flames arise. You want to use a fire extinguisher that is dry and chemical-based. •	Never use water to put out a kitchen blaze, as this only makes things worse. An important tip to remember – fire cannot exist without oxygen, so cover a cooking fire with a metal lid and smother the flames. •	Should a fire erupt, evacuate the home and call 911.